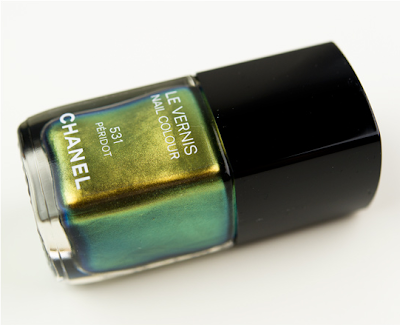 Chanel's fall color story centers on shimmering metals and iridescent shades. Peridot, green-gold promises to be a "jewel" in the collections. It is a limited addition so grab a few asap!